Anything Goes Christmas Challenge., held two weekly. fabulous cards to inspire you, plesae pop over to see them. Silver mirri card used to mat the topper and base card. The stamp is one of my favourite, favourite stamp of all time. The Snow Buddies by Woodware stamps. Coloured with Promarkers and enhanced with glitter. Anything Goes with a twist Blue Christmas. 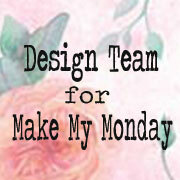 Hello again, today we begin a new challenge at Make My Monday. Sian has chosen Summer Brights. please pop over and check them out. I have used several Distress Inks to create the background. exdtended though you can't tell where it was joined up. I coloured the flowers with my new Leonie Sparkle Pens. when photographed, such a shame. The sentiment is by Crafter's Companion. Please check out the lovely ideas from the DT. The Black heart was stamped with DI Black Soot, embossed with clear EP. 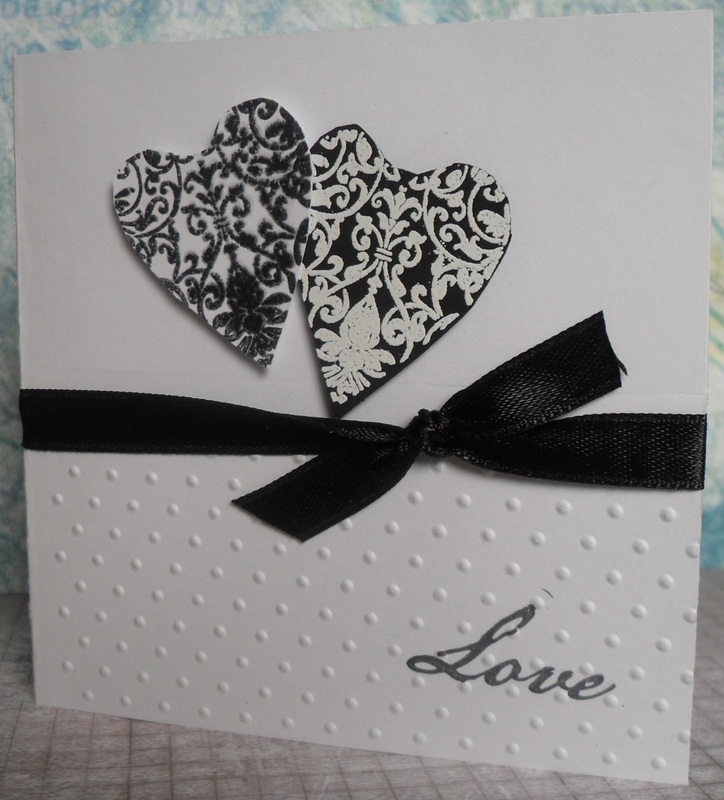 The lower half of the card embossed with a Swiss Dots Embossing Folder. Black ribbon and bow added. which is Sew and Sew. The DT have some super ideas waiting for you to see. from a Debbie Moore CD - Haberdashery Shabby Chic. Other embellishments include Crafty Individuals stamped items. I hope you have fun with your sew and sew project. For my card, I decided upon a Christmas card. I have used white card, with dark blue card for matting. The beautiful image is the Polar Bear from Little Claire Designs. I added lots of small silver stars around the main golden star. I used Promarkers and Distress Inks to add the colour. Have fun, looking forward to seeing your stars. month of June - July 14th at Sparkles Monthy Challenges. Please take a look at the blog, the DT have again excelled. For my card, I chose to do Heat Embossing. I embossed with white detailed EP using a Kanban stamp. Coloured the background with Distress Inks. 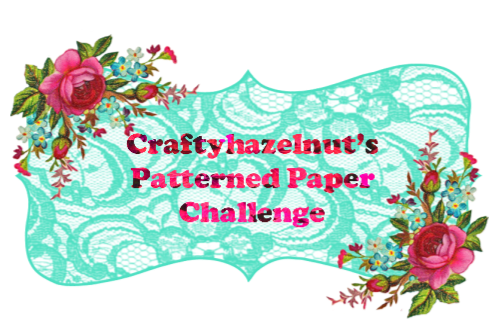 two weekly challenge at The Holly and The Ivy Challenge Blog. Our challenges are always Anything Goes -Christmas. Have fun. 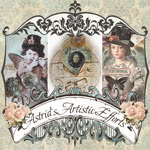 Please pop over to see the DT's amazing cards for the fesitive season. always creating new products, our older ones still have life in them. A white card, with red card for the mats, the star paper is from my stash. Hello, welcome to my blog, I hope you enjoy your visit. 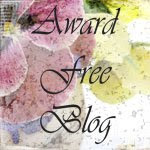 Please pop over to the blog to see the wonderful inspiration from the DT. I have used Kraft card for my base card and to mat the design layer. For my background I used several Distress Inks on watercolour paper. then watercoloured the three areas. 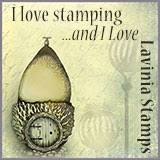 I stamped onto the card to give a base for my decoupaged image. Promarkers. I added another bird on the sand and more in the sky. Chocolate Boroque. I used a white pencil for the edge of the sea. My card - I used pink and white card from my stash. I also added the sentiment, gems and lace from my stash. 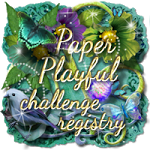 Labels: Alphabet Challenges, Creative Crafting World, Thank You Card. we begin our new challenge at Cardz 4 Galz. Amy has chosen - Graduation. Please take a look at the DT's inspirational creations. from using an Embossing folder. The motor board is from a freebie template on Pinterest. The scroll certificate is stamped - Sheena Douglass - The Quest. Congratulations - a stamp I've had for ever. Addition of 3 clear star gems. 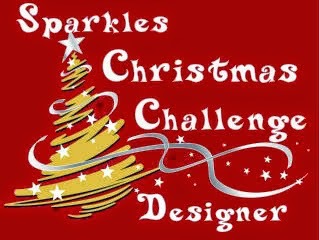 challenge at Sparkles Christmas Challenges today. Dark brown to mat the main created area. embossing powder. I repeated part of the stamp on the left side. Added a stamped Dreamees greeting circle.